Why Work At Honda West? Honda West is a great place to work. If you want to work with one of the most innovative teams of automotive professionals, then tell us why you would be a great fit for our organization. What makes Honda West different? First and foremost is our legendary customer service. In 2015, 2016, and 2017, Honda West was named as the top Honda dealership in Alberta for customer service and were named the top Honda dealership in Canada for 2016. We believe that great customer service is no accident. Only by hiring bright, innovative, and engaged employees are we able to provide award winning customer service and bring innovative changes to the auto industry. The reality is our staff love what we do, we love where we work, and we try and have fun doing it. As a place to work, we think our dealership is as good as it gets. In fact, in 2016, Honda West was named as one of Canada’s top ten dealerships to work for and were the only Honda dealer on that list. Why are we different than any other dealership? Easy Deal, our uniquely simple and straightforward sales process was crafted to provide a completely transparent purchase experience. This makes it quick and easy to buy a Honda from us with the comfort of a 72-hour money back guarantee and a 30-day exchange policy. Or, our customers can buy a new or used Honda from home with our Buy Online program. Honda West’s goal is to provide a car buying experience unlike any other in the world. Open, honest, and upfront – our aim is to make it easy. We provide our customers with our best price up front, every time. We hire smart, friendly people who genuinely care about providing an amazing experience for our customers (we hire many of our employees from outside the auto industry). Once hired, we focus on promoting from within and developing our employee’s skills and education. We offer tuition and training reimbursement programs for those wanting to continue their career development. During 2017, fourteen employees within Honda West were promoted to new positions within the organization. For those wanting to become technicians, Honda West sponsors employees interested in apprenticeship programs through local colleges. Candidates are selected based on work ethic, customer service aptitude, and technical skills as judged by our management team. For those selected, an apprenticeship is undertaken comprised of both classroom time and practical hands on work in the dealership. Don’t see the job you are looking for? Click the APPLY NOW button at the top of the page to submit a general inquiry. Want to know what a rewarding career with Honda West is like? Here it is right from our employees. Our Business Development Centre is the foundation of everything we do, with the goal of creating excellence in customer service and productivity. This department ensures that customer calls, whether for sales or service are answered and looked after in a timely manner. After some years in the hospitality industry, Jeremy started with Honda West in August 2013 as a New Car Sales Representative. Jeremy’s success on the sales floor was a direct result of building his product knowledge along with exceptional customer service. When the need arose for a Business Development Centre Manager in September 2016, Jeremy was a clear candidate. 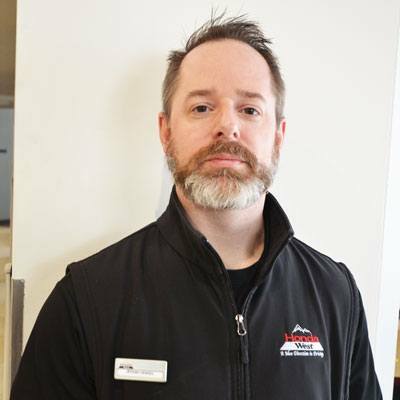 Jeremy and his team are dedicated to ensure that our customers receive the best customer care in the first step to meeting the rest of the Honda West team. Our Finance and Insurance managers hold a key position in the dealership. As members of our sales department, they play a crucial role in assisting our customers in protecting their investment through the sales of extended warranties and protection packages. These individuals are entrusted with our customers most sensitive and confidential information. They process credit applications, licensing details and banking information. Our Finance and Insurance managers fill one of the most senior roles within the dealership. 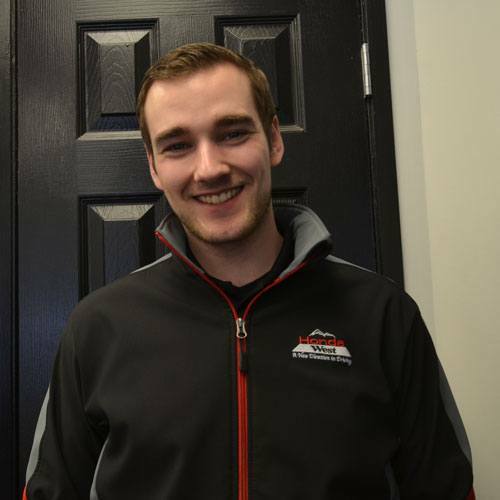 Cole came to Honda West with some direct sales experience and a proven track record in excellent customer service skills. On February 10, 2016, Cole joined our New Car Sales team and quickly gained the trust and appreciation from both his customers and his co-workers. Cole has advanced quickly in his career with Honda West, being promoted to Finance manager in December 2017. Honda West and our customers recognize and appreciate Cole’s commitment to bringing the very best experience to our clientele.